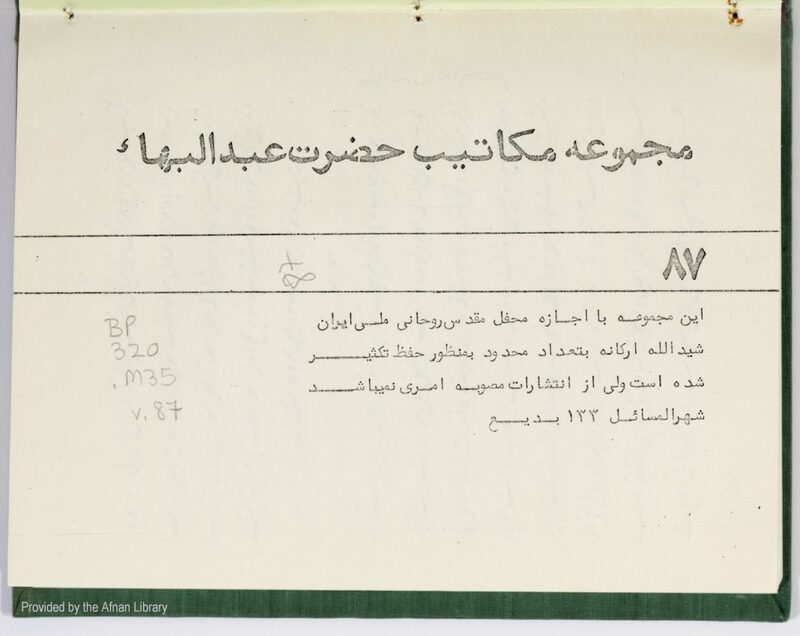 Description: Collection of Tablets of `Abdu’l-Bahá addressed to Bahá’ís of Shiraz and Fárs. States that this copy was written from original Tablets, on the instructions of the Local Spiritual Assembly of the Bahá’ís of Shiraz. In the margin at the start of each Tablet is a brief note about the original Tablet (e.g. : “in hand of a secretary and with seal of `Abdu’l-Bahá”). Manuscript 641 pp. (643 pp. of PDF).